Reading the title of this article I was a little estranged. 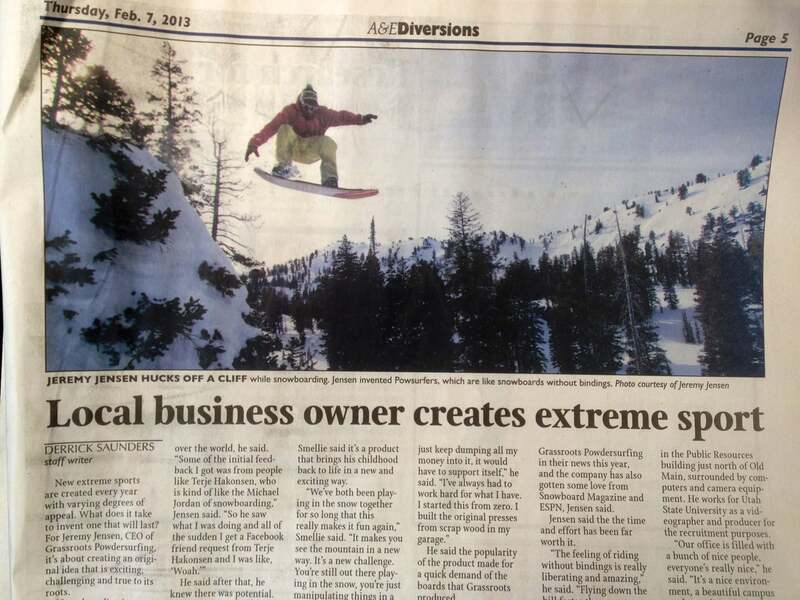 “Local business owner creates extreme sport” seemed like a pretty big claim. It’s a stretch to put a finger on who “created” powsurfing, or the act of sliding sideways down mountains on boards free from bindings and ropes. It’s kind of like saying someone invented playing catch, or was the first person to run or skip. The concept and practice of binding-free snow sliding dates back centuries at the least. 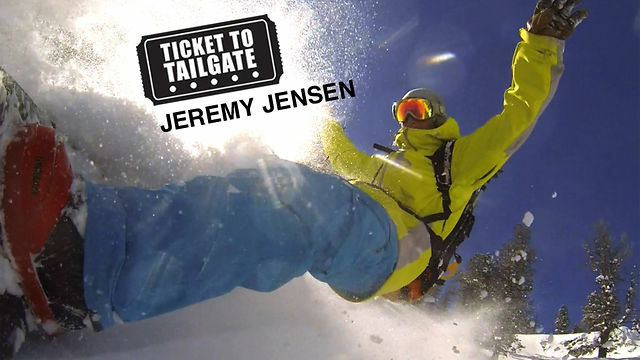 What we at Grassroots have done is create a tool (or toy) to encourage and enable riders to take this form of snow sliding to new levels, incorporating contemporary skate style and more of a true surf style than what we had seen in the past. We felt that if you were going to ride a bindingless board then it should be a board designed specifically for that task (rather than throwing a pad on a snowboard that is designed and built to be ridden with bindings) and you may as well be able to take full advantage of not having a board strapped onto your feet. Spin it, flip it, ollie it,.. make the most out of your ride to the bottom. If that’s what constitutes the creation of a new extreme sport then I guess we’ll wear that hat with pride.